Viking River Cruises deliver the expected and iconic (such as museums and landmarks), but also go beyond, with most itineraries offering a Local Life experience. Viking River Cruises deliver the expected and iconic (such as museums and landmarks), but also go beyond, with most itineraries offering a Local Life experience and a Working World experience, as well as an optional Privileged Access experience. Plus, Viking offers the option to experience Privileged Access to museums, private collections and after-hours events curated especially by Viking. 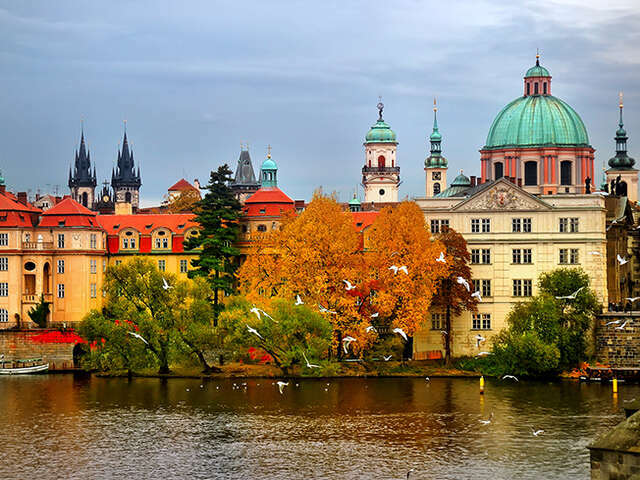 This includes an exclusive behind-the-scenes tour partnerships with Lobkowicz Palace in Prague, Czech Republic and the Hermitage Museum in St. Petersburg, Russia. Dona Manuela's family has been making their famous bread for centuries. Join Karine Hagen as Manuela teaches her how to make her delicious bread. Come with Viking to the Golden Ring city of Uglich along the Volga and step inside the home of Babushka Nadya for a nostalgic visit. Choose to explore European history through the unique perspective and exquisite collection of a noble Czech family.